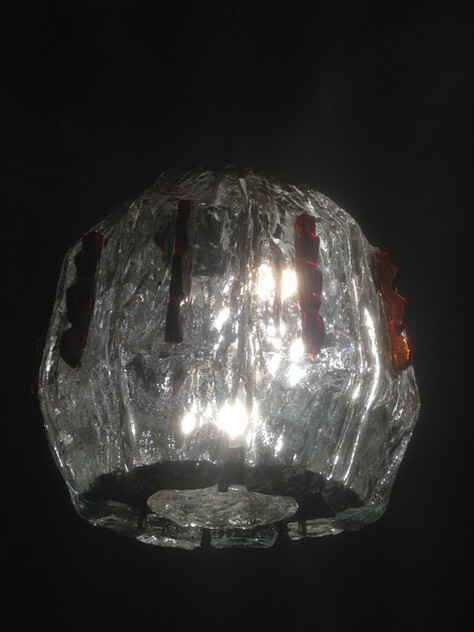 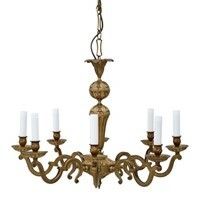 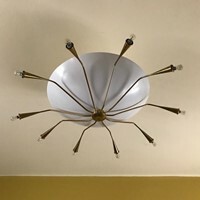 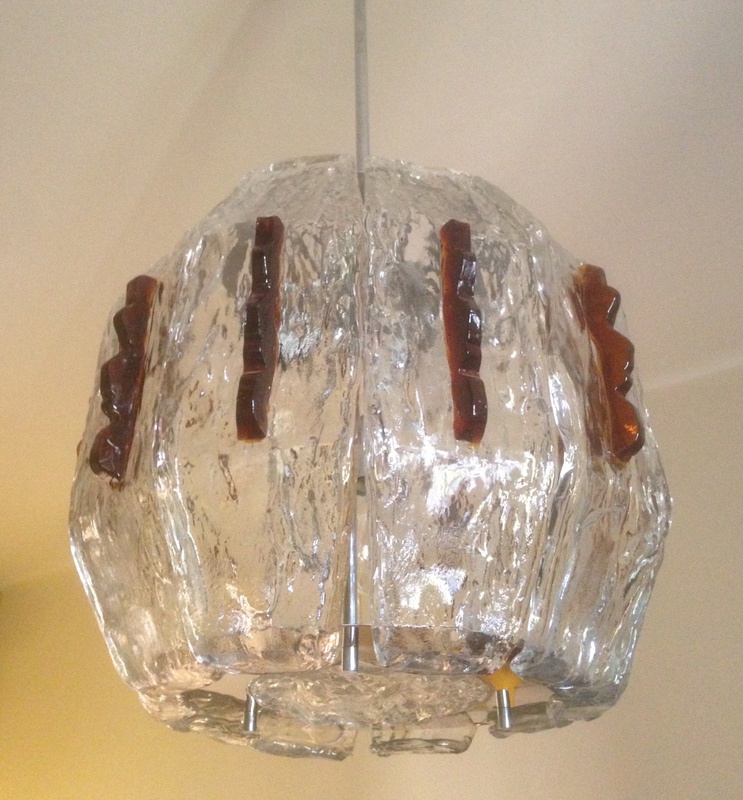 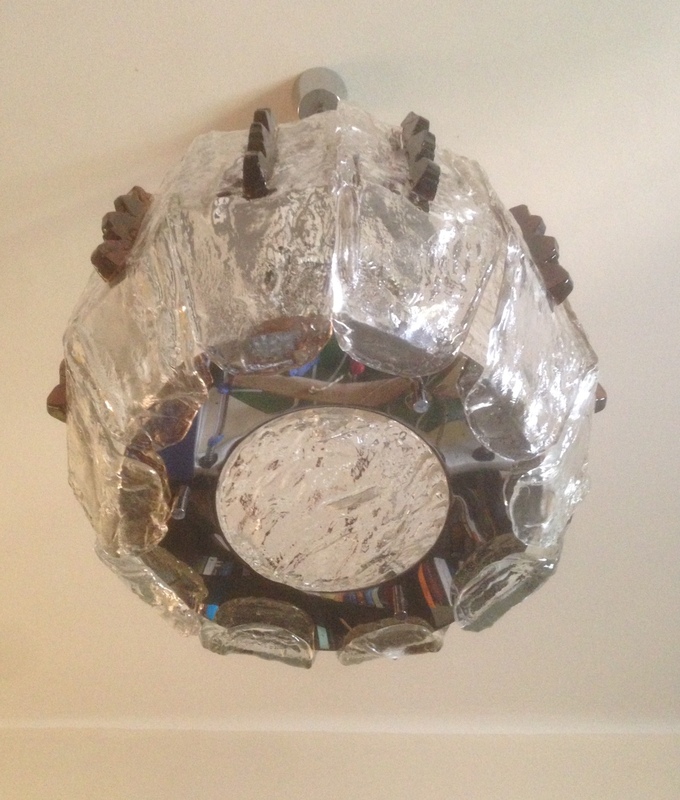 Interesting ceiling light in Murano glass attributed to Mazzega, 4 lights bulbs. 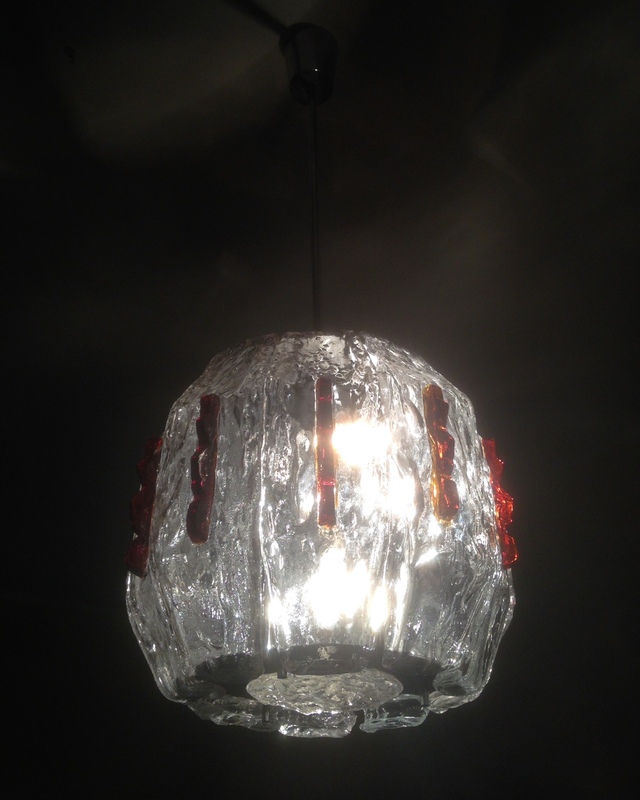 The glass part is 40 cm x 40 cm diam x 100cm h. The rod can be shortened. 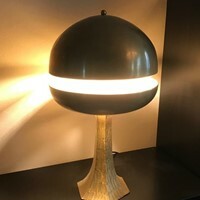 This item is now on sale. Original price was £990, now £800.